I am a mentor for a Canadian Cancer Society program called Cancer Connection. When a cancer patient or a family member wants to talk with someone who has been through it, those with cancers similar to the one I had are often directed to me. 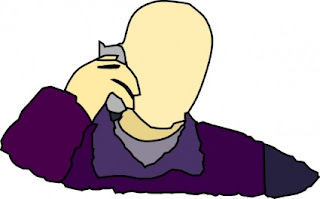 The calls are confidential and anonymous. All we know is each other's first names. Mentors play a support role. We share our personal experience and listen for clues to the fears and frustrations of the client. We encourage dialogue with the person’s medical team while staying clear of offering medical advice. Through the years of doing this, I note a few similarities. Men and women but mostly men with throat cancer or their family members have called Cancer Connection to make a connection. Ages have ranged from 30 to 80 and every generation in between. Some had questions prior to treatments (like does it hurt). Some wanted support during the process and in the weeks following as recovery begins. I’ve also talked with a few people who sought help with lingering frustrations up to two years after treatments. You have to be patient with yourself and the process. Everybody is different but a few things are the same. Radiation and chemotherapy treatments for neck cancers often result in an inability to eat solid foods for sometimes months. Saliva ducts can be permanently damaged. Taste buds can change. Those are just a few of the side effects of eradicating the cancer from your body. There is a new normal that has to be established. It won’t ever be the same as it was. Impatience only enhances frustration. Those of us who have been through it know that we didn’t have a cold, with a recovery rate of days. We had cancer, with a recovery rate of sometimes years. A recent client connection was determined to eat solid foods again after a couple of months on a liquid diet. Every attempt was a failure either because the chosen favourite food tasted awful or was too acidic and hurt the throat. My advice was, “keep trying because you will eventually find something you like”. Start bland like a broth. If a solid food, take small bites and chew thoroughly. If difficult to swallow due to dry mouth, use a liquid like water or milk to help. Then it happened, a root beer float. Not only did the root beer taste like root beer but the vanilla ice cream tasted like vanilla ice cream. It was the first positive experience after brutal treatments. Root beer floats. For one person, a pre cancer treat is now a post cancer inspiration.